Success isn't only about achieving a certain status in the corporate world or as an entrepreneur, but success is also achieved by the way you live; what you say; how you dream; and what you know is true. Hear from some of the nation's Most Powerful and Influential Women and understand what it takes to become a woman of power and influence in today's world. What does it take to become a woman of power and influence in today's world? How do you gain the trust and credibility you deserve? What are key qualities that make one excellent? What are some pitfalls that females should avoid while seeking a seat in C-Suite? How important is mentoring to your career success? What should one look for in a mentor? How does one get a mentor? As a woman, how do I get paid what I am worth? Ever wonder why very smart people aren't successful? Ever wonder how people who had mediocre grades in school achieved high levels of success? The answer - Emotional Intelligence! Emotional intelligence is the very key to understanding yourself, managing your emotions, having social awareness, and managing relationships. This session is designed to provide a general overview of Emotional Intelligence (EQ) and the business diversity reasons for focusing on EQ to develop the star performer (in any setting). What is Emotional Intelligence and what are the characteristics? How can one distinguish individuals with high Emotional Intelligence vs. low Emotional Intelligence? How does one lead with Emotional Intelligence? What are some examples? Why is Emotional Intelligence important for leaders? Managing, retaining and recruiting a diverse workplace is a priority for many leaders. Learn how to ensure that your communication shows your commitment to diversity. Learn how to research into new target areas and how you can attract the diversity that is being sought. Where does an organization begin? What are the initial steps? What are some best practices for engaging diverse talent? How can you know what target areas you need to reach out to when it comes to attracting the diversity you are seeking? 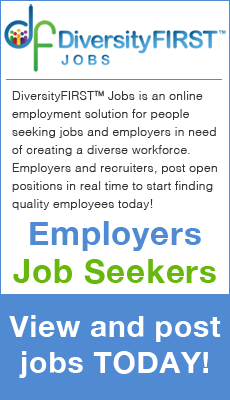 Why do some organization fell when it come to recruiting and retaining diverse talent? What are the pitfalls? How does an organization brand themselves as an employer of choice for women and people of color? The focus of this panel is to bring together a diverse mix of successful women leaders who, through the discussion of topics relevant to today's issues will educate, inspire and encourage women to reflect on their own goals and status as they strive to advance within their organizations. What are some of the challenges specifically Women of Color face in today's workforce? What are the best ways to manage those challenges? What does Leading with Excellence mean to you? How do I find my voice as a Woman of Color? It is stated that for Women of Color, there is a cement ceiling vs a glass ceiling. What are the best ways to chisel through the cement ceiling to the C-Suite? Successful leaders are those that can positively influence others, innovate, and leave a lasting legacy. In this session, you'll hear from executives who have made a mark in their field as leaders, and hear their strategies for success! What is leadership presence and how do I obtain it? How important is influence in the workplace? Why & how do you use your influence as a leader? Describe some of your early failures as a leader. How have you changed? Describe the impact on your employees. Did you have a mentor, or more than one? Please share your advice concerning coaches, mentors, and sponsors with those who someday hope to be good, inspirational leaders. Do you think leaders emerge before or after they are given their promotions to "manage" others? Share your personal experience. Can you give us five tips that will help prepare us to become inspirational leaders? Different times and circumstances call for different skills when it comes to leadership. You need to be able to prepare yourself when it comes to moving up. To reach the next level you will need to hone in on certain skills to be able to reach the next level. How do you prepare yourself to move up in a company? What skills and abilities are most important to develop as you seek to grow as a leader? What does it mean to "manage up" and how do you do that? What are some pitfalls to avoid as you pursue the C-Suite? Is the route to the C-Suite similar for women as it is for men? What are the differences? Of all of the skills needed to lead, which one is most essential and why? The role of Employee Resource Groups and Business Resource Groups in today's corporate world is becoming more prominent. Organizations are using them to ignite meaningful business conversations and charge leadership with utilizing their resources. ERGs, through their efforts in skill and innovation, develop genuine talent pools that mirror the business. Due to the changing dynamics of the workplace environment of today and the future, ERGs are critical to an organization's success. What makes an ERG effective/BRG? What is the value of ERGs/BRGs? How do you create and sustain ERGs/BRGs? What are some initial steps? What are some potholes one will want to avoid as they start their ERG/BRG initiative? What are some best practice for ERGs/BRGs? The focus of this panel is to talk about the protest that took place in Charlottesville. Many lessons were learned by individuals nationwide as it affected the whole nation. Can we move forward? What is your overall view on the protest in Charlottesville? What role did the current political climate play in the Charlottesville protest? What are the lessons learned from the Charlottesville protest? How can our nation move forward? Privacy · Copyright © 2018 Tri-State Diversity and Leadership Conference. All rights reserved.